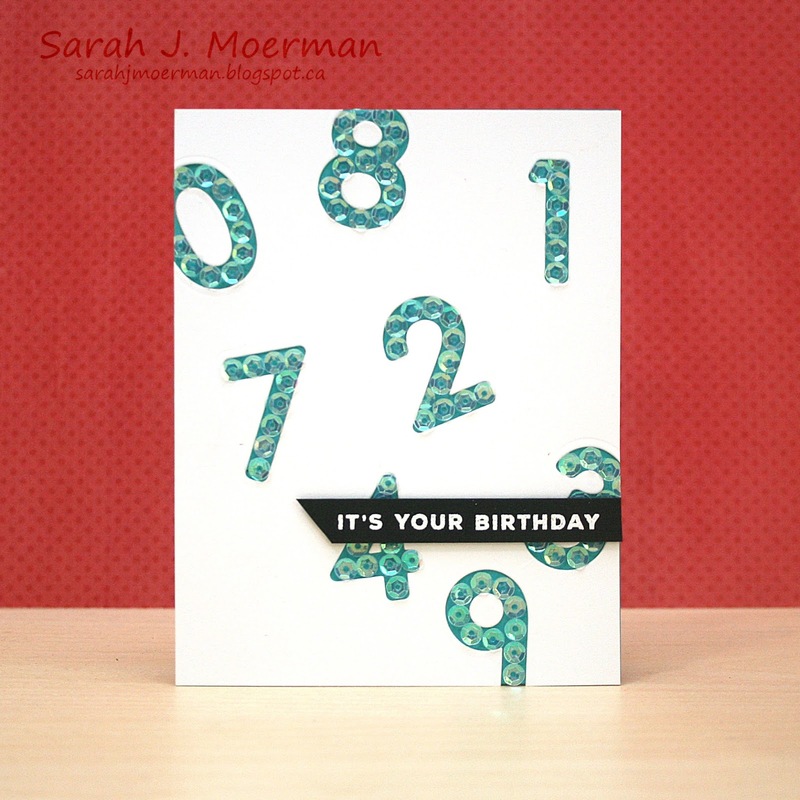 My Impressions: SSS Sequin Numbers Birthday Cards (& New SSS Card Kit Winner)! SSS Sequin Numbers Birthday Cards (& New SSS Card Kit Winner)! I'm popping by to share some cards I made featuring the Simon Says Stamp Big Numbers Dies, sequins, and a few different birthday greeting stamp sets...but first, I wanted announce a new winner of the Simon Says Stamp June 2017 Card Kit: Blissful. Absolutely in love with this Sarah! Your work is stunning. Congrats Christina! 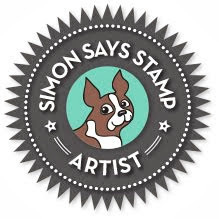 Please message me with you mailing info so I can pass it on to Simon. For these cards, I die cut Simon's Big Numbers Dies from Neenah Solar White Cardstock and adhered the negative space to the fronts of some colourful notecards I created. I then adhered Darice 5MM Crystal Iridescent Sequins on the numbers with Multi Medium Matte Adhesive. 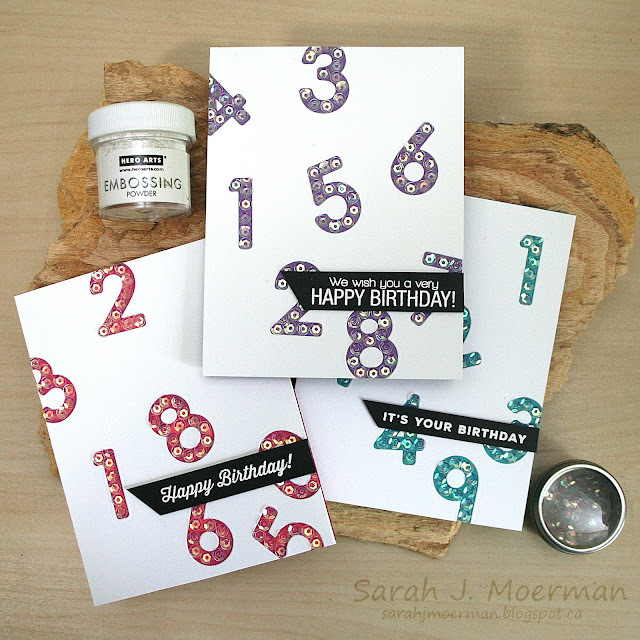 Finally, I white heat embossed various birthday greeting on Simon's Black Cardstock and adhered them with Foam Tape.These were so fun to make that I could stop with just one. 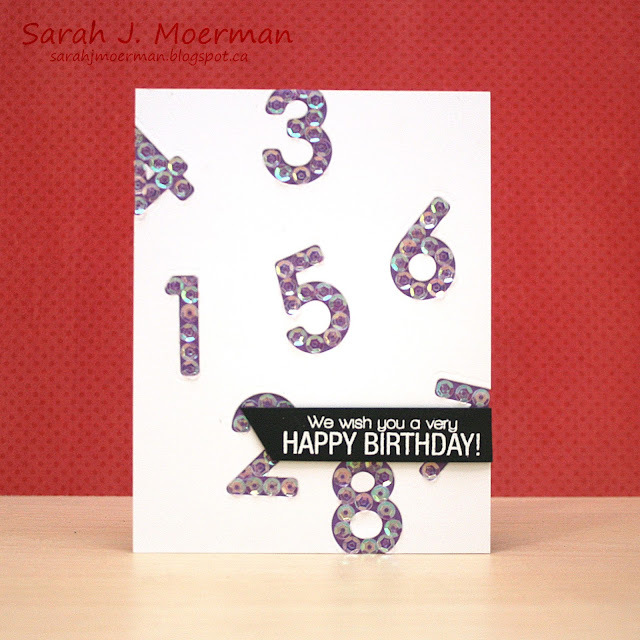 Ohhhh, love this card design with the numbers highlighted by sequins! So beautiful!!! 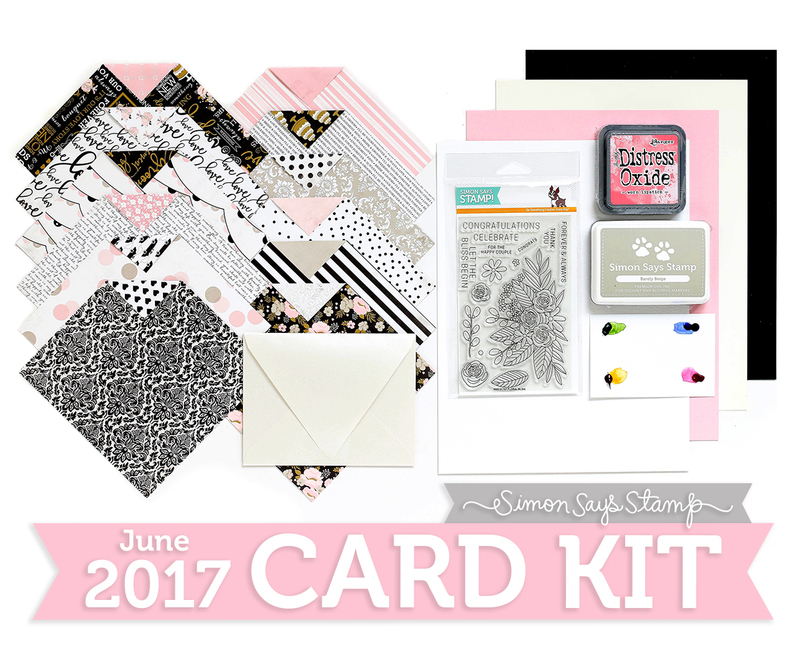 These cards are SO GREAT, Sarah! Wow what a clever design!! 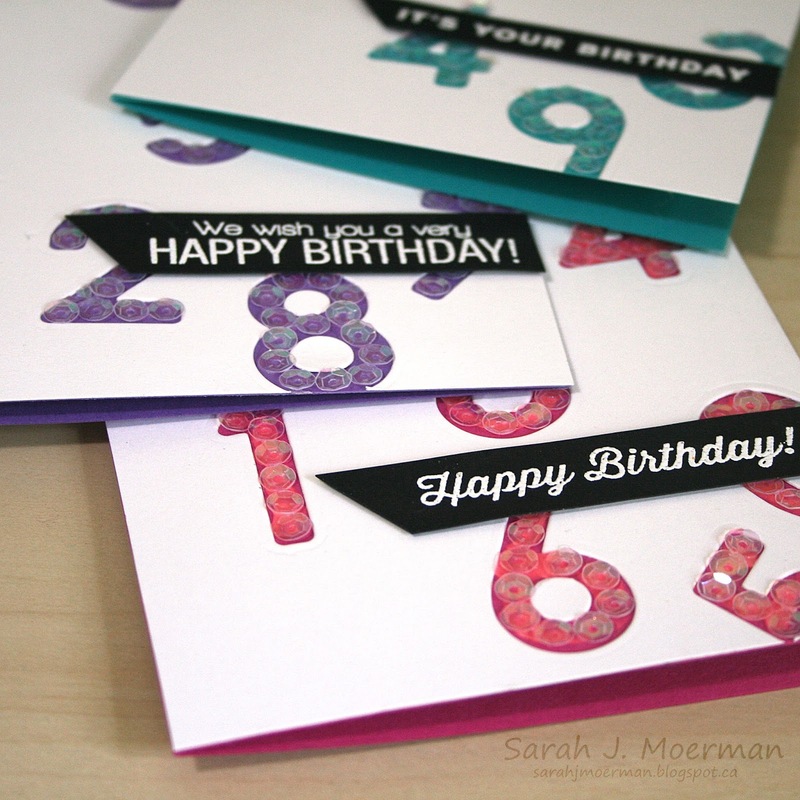 Love the sequin numbers!! 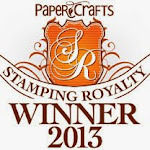 Congtats to the new winner. Love the fun big numbers card. 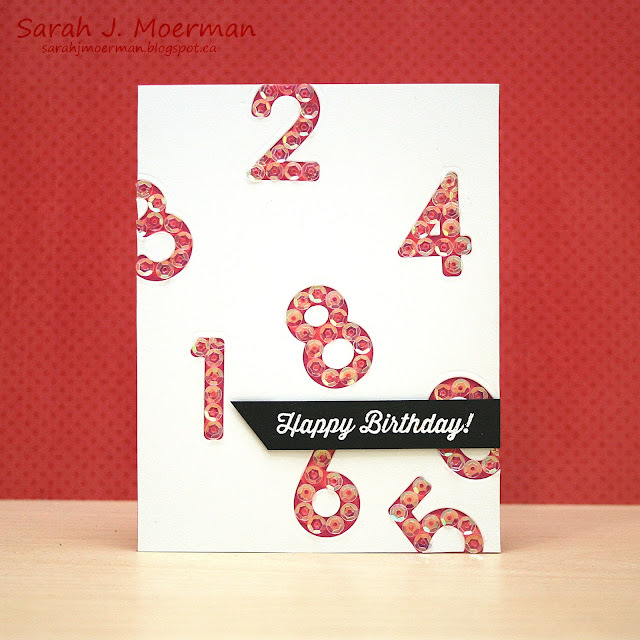 What fun cards with this big numbers. I love the numbers background. I'd venture to say gluing on that many sequins might drive me bonkers, but the effect may well be worth the effort. Love it!